The HT23-553 two-phase stepper motor is designed for use with the STAC5 and STAC6 series of stepper drives and is suitable for a wide range of motion control applications. The motor is optimized for use with high bus-voltage drives and comes with an integral 10 ft shielded cable. The HT23-553 step motor supersedes the HT23-549 step motor in 120 VAC applications with the STAC6 stepper drives. HT23-553 Base, single shaft motor. Motor with ZAA type optical encoder mounted to rear shaft and end bell of motor. Recommended for use with Applied Motion stepper drives to perform Stall Detection and Stall Prevention functions. 2,000 CPR (8,000 counts quadrature); A, B, and Z (index) channels; differential, line driver outputs. 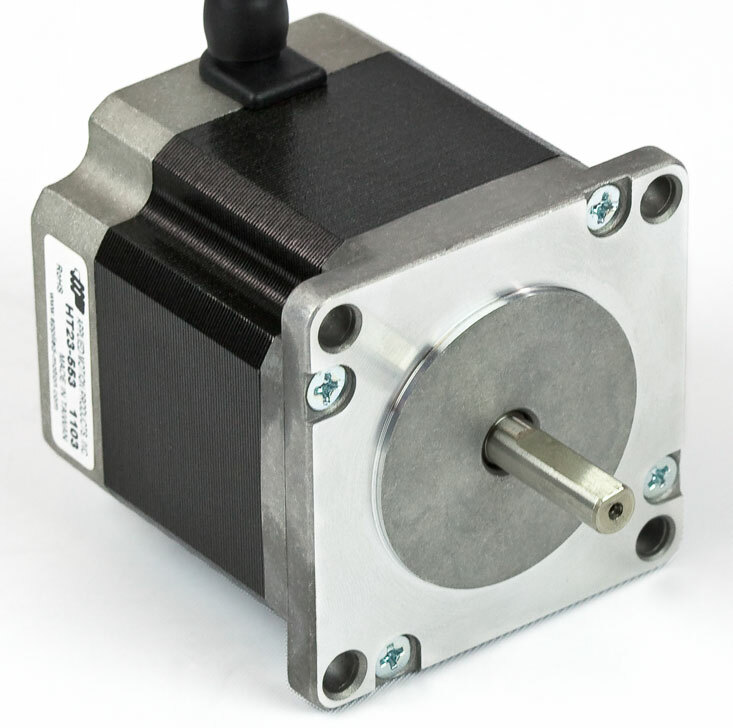 HT23-553D-ZAC Motor with ZAA type optical encoder (see above) mounted to rear shaft and end bell of motor. 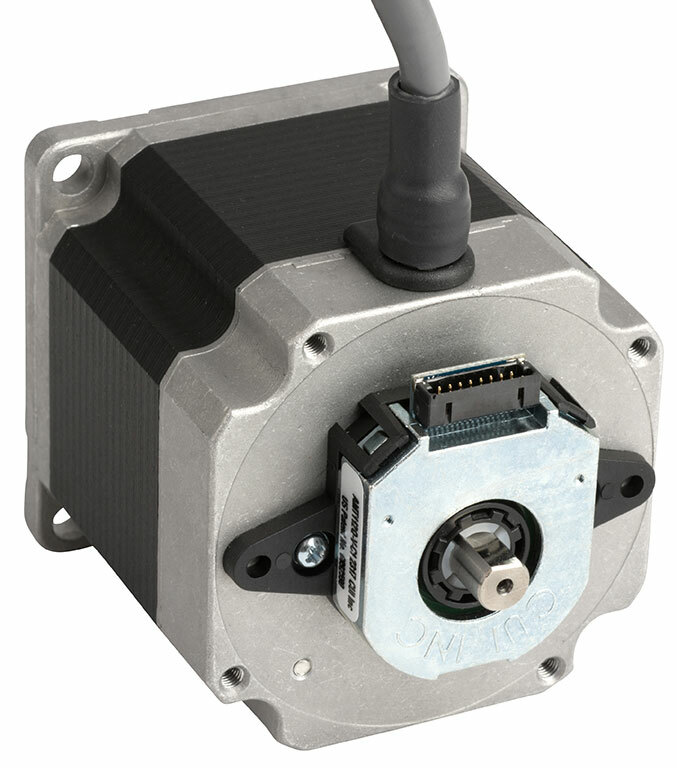 A metal cover with integral shielded cable is mounted over the encoder to protect the encoder from dust and debris. Motor with CAA type capacitive encoder mounted to rear shaft and end bell of motor. Recommended for use with Applied Motion stepper drives to perform Stall Detection and Stall Prevention functions. 2,000 CPR (8,000 counts quadrature); A, B, and Z (index) channels; differential, line driver outputs.